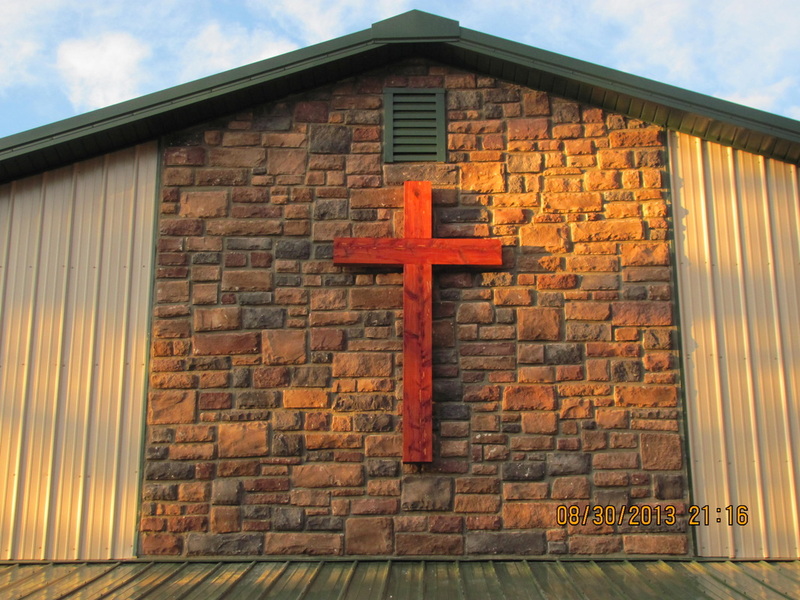 Robbins Chapel 2012-2014 -- God built His chapel on Casper Mountain! In 2007 the people of Wyoming began asking for a chapel to be built in memory of Bob Robbins. Bob and Marlene Robbins were Mission Service Volunteers who served over 25 years as caretakers of Mountain Top Baptist Assembly. Since 2007, North Carolina Baptist Men have partnered with us, providing cooks, maintenance teams, and construction volunteers in hopes that they would also be able to help build the greatly needed chapel. In 2012 this dream became reality. Ed and Helen Helms of North Carolina came for 2 months and oversaw 10 teams as they constructed a 50 x 80 pole structure that now stands on site. Mountain Top is truly blessed! God worked miracle after miracle putting this chapel on Casper Mountain. One of many was getting the permit on Friday prior to the teams arriving the next Monday for work. Another was when God opened up a sharp & curvy, tree covered "road" for 50 ft trusses. Throughout the summer when a specialized job was needed, God had already placed that person on the team sending them to us at the appropriate time. In 2013 we limited the construction to only 5 weeks. During that time much of the interior was completed, along with septic, stonework, restrooms. In 2014 the electrical, sound system, floors, and trim work were completed. The first service held in the chapel was Thursday, July 3. The plan of salvation was preached in a simple, clear way. At the end of that service, 9 boys and 1 adult received Christ as their Lord and Savior. Glory to His holy name!